Nothing like a good early morning run to get the day started. I am posting so much earlier than normal. Now that is light early in the morning I can get my runs in and start my day. Well, as promised here is a delicious tropical side dish that will make you feel like you are on a tropical island somewhere. Wouldn’t that be nice? It does pair perfectly with the Grilled Hawaiian Chicken. So take your taste buds on a vacation, it’s better than nothing, right? I will take what I can get. Combine coconut milk, water, sugar and lime juice in a saucepan and bring to a boil. Stir in the rice. Reduce heat to low, cover and simmer about 15 minutes, until the rice is cooked and fluffy. Stir in the cilantro and serve immediately. 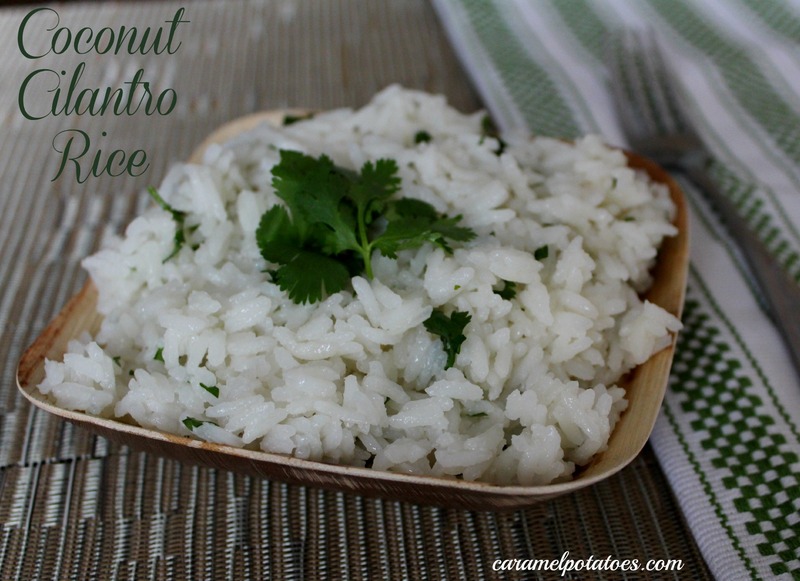 Coconut rice is awesome, I bet the cilantro is a great addition. Thanks for sharing at Sweet & Savory Saturdays #12!